Talents move to interesting and attractive cities, not from one country to another. Hence along with a positive image of Finland, Helsinki needs a strong and realistic brand – one that fulfills the high expectations of global talent, writes Riitta Lumme-Tuomala from Aalto EE. Talent management is traditionally considered an organization-level practice, or a process beneﬁting individuals. More and more, today’s talent management researchers and practitioners look at talent attraction, recruitment and retention from three angles: in addition to organizations and individuals, countries and governments are seen as crucial contributors in global talent management. Particularly cities can make a difference and pave the way for global talent, critical for the success of various industries of today. The Talent City article series lists key factors that make cities attractive to talent: how education is organized both at university and primary school levels, and can a city be considered a hub that offers connectivity and well-functioning, easily accessible networks? How effective and smooth is the cooperation between state authorities and companies, and will newly recruited talent get lost in the bureaucracy jungle? Helsinki has done a pretty good job, and the same can be said about Espoo, home of Aalto University. In 2017, the Global Talent Competitiveness Index (Insead 2017) listed 100 most attractive talent cities for the first time. Previously, the index was calculated only for countries. The researchers noted a macro-trend particularly among millennials: talents move from one city to another rather than from country to country. This is why Helsinki, and why not e.g. Oulu, needs a strong brand in addition to the positive image Finland has succeeded to achieve. The brand needs to fulfill the expectations of the new immigrants and be true to its promise. Helsinki proudly occupies the third position on the talent city list, coming right after Zurich and Copenhagen, and before San Francisco and Gothenburg! An extraordinary accomplishment, which stuns us Helsinki residents who commonly think “who would want to move to Helsinki of all places”. But the brand and reality are at least mostly aligned, thanks to the passionate, focused, and resilient work of city leaders like Tuula Antola, Jukka Mäkelä, and Jan Vapaavuori. Is Helsinki a Talent Eden, then? Statistically, at least this is the case; we need to trust the researchers and data behind the results. However, we do not know exactly which factors contribute to a city’s possibilities to attract talent to companies outside the game industry. One crucial factor is language. 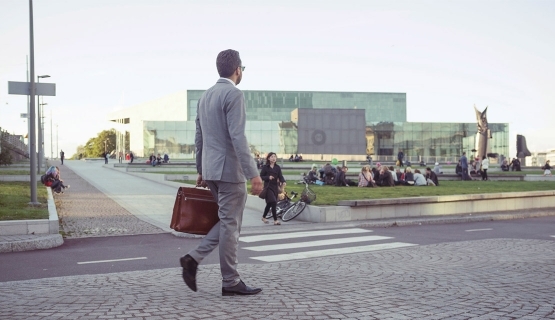 When a non-Finnish student graduates from a university in Finland, he or she might find it impossible to find employment in a Finnish company without the required Finnish language skills. This is extremely illogical; you can study in English, students feel at home in Finland and love to be here, they receive a high-quality degree, and everyone speaks English to them. But when applying for a job, they are faced with the fact that the Finnish language is a must. Helsinki will not get to keep its position on the global talent map without looking at recruitment, networks, and markets in a truly global manner. Riitta Lumme-Tuomala is Head of Growth at Aalto EE (strategic marketing, communication, alumni relations, and Russian business). Dr. (DBA) Lumme-Tuomala is also responsible for Talent Management at Aalto EE.